This aesthetically pleasing clock house design will enhance any garden. 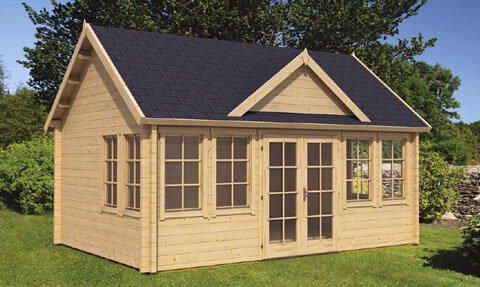 The eight half height windows and fully glazed double doors make this cabin light and airy. 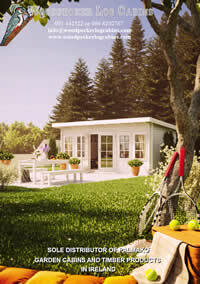 Use as a summer house, guest bedroom, hangout room for the kids, study, hobby room for yourself or just as a summer house. It is sturdy, robust and looks great in any garden. This is one of our most popular log cabins.